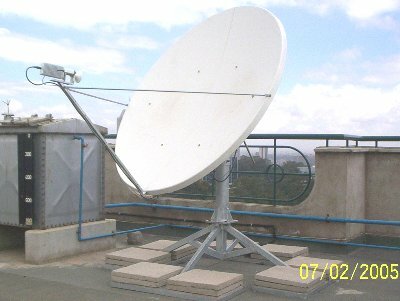 Huwei: 3.7m dish, C band on INTELSAT 906 for data between KENYA and CHINA (HONG KONG). Africare: 3.7m dish Ku band on Eutelsat W3A for voice and date between KENYA AND NIGERIA. OBJECTIVE TO ESTABLISH MYSELF AS PROFESSIONAL ENGINEER THROUGH THE INTEGRATION OF KNOWLEDGE ACQUIRED IN ACADEMIC, WORK AND LIFE EXPERIENCE. SKILLS PROFILE VSAT TRAINING : INSTALLATION, SITE SURVEY, COMMISSIONING AND EQUIPMENT CONFIGURATION BY LORAL SKYNET TETRA TRAINING: INSTALLATION, NETWORK DESIGN AND POGRAMMING BY DANIMEX DIGITAL. MOTOROLA TECHNICAL TRIANING PROGRAMME INCLUDING SELECTIVE CALL BY DANIMEX. COMMERCIAL SERIES TECHNICAL TRAINING AND CANOPY WIRELESS PRODUCT BY MOTOROLA. FEBRUARY 1998-SEPTEMBER 2004 AS TECHNICIAN TRAINEE FOR THE FIRST SIX MONTHS. CHECKING AND MAINTENANCE OF RADIO EQUIPMENTS (HF, VHF AND UHF) AND PHONES. PROGRAMMING OF RADIO. INSTALLATION OF BASE AND MOBILE RADIOS. 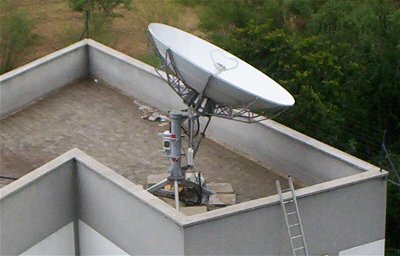 INSTALLATION AND REPAIR OF SATELLITE PHONE AND MICROWAVE LINKS. SITE SURVEY, INSTALLATION OF CCTV AND ALARMS SYSTEMS. 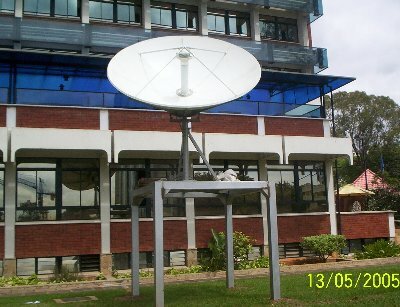 Key Projects handled JANUARY TO FEBRUARY 2006- INSTALLATION OF VSAT FOR MAERSK SEALAND KENYA, INTERFREIGHT AND HUAWEI. DON BOSCO VSAT INSTALLATION ( NAIROBI, MAKUYU,MERU, MACHAKOS, KAKUMA AND MARSABET) JICA, AFRICAN RE, ZTE AND INTERPOL VSAT INSTALLATION. 20 APRIL TO MAY 2005- INSTALLATION OF HF, VHF AND VSAT NETWORK FOR SOMALIA NGO CONSRTIUM IN HARGEISA (SOMALIA). 21 NOVEMBER 2003 TO MATCH 2004- UNFPA, HF AND VHF NETWORK FOR COASTAL, EASTERN, NORTH EASTERN AND NORTH RIFT VALLEY HEALTH CENTRES. 22 MAY TO JUNE 2003 - UNICEF HF, VHF AND POINT TO POINT LINK IN YAMBIO SUDAN. 23 FEBRUARY TO APRIL 2002- VHF NETWORK FOR KABALE WATER IN UGANDA. SIMBANET COM LTD. TEL 0722651787.